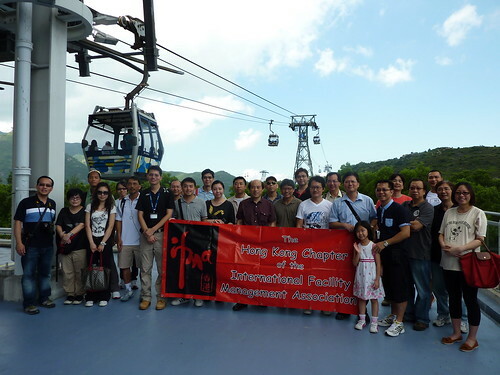 Ngong Ping 360 is a ‘must go’ location for site seeing in Hong Kong; Ngong Ping 360 behind-the-scene visit is also a ‘must go’ activity for facility practitioners. The facility is operated by an enthusiastic professional team. Staff at all levels are familiar with the system. Preventive maintenance is well planned and technicians are trained not only to perform routine operations but also incident handling. The devoted team has regular scenario drills with the emergency team from FSD for emergency preparedness. Quality assurance is warranted attributed by the frequent garage training. If you have unfortunately missed the visit this time, stay tune with us. Activities organized by our Professional Development team will never stop.